We have been involved with the Munich Oktoberfest since 1997 and can look at more than 17 years of experience. Initially we only worked offline, B2B with many travel agencies around the world. Since shortly we also addressed to private people the way everyone can book with us now. We are not just “selling” any Oktoberfest reservations but we are offering a service which is far beyond this. With us you will get the experience Oktoberfest. Extra wishes will be always regarded. Throughout the Oktoberfest we are present at the Oktoberfest grounds with a team of more than 40 people, every day, 24 hours. We are the only company in the world that is offering a professional hostess service. All clients will be met by our staff and fully accompanied into the tents to their reserved tables/ seats. This is a very important service as people who are attending the Oktoberfest for the first time get slightly lost and have great difficulties in finding their reserved table/ seats. We make sure that your attendance at the Oktoberfest will be perfectly organised and be a memorable experience for you, your friends, clients or business partners. You can book with anyone, however you should only rely to the best – above all if you are planning to attend the Oktoberfest with your friends or clients. We are the best, we are locals, no “internet agencies” who might have never been at the Oktoberfest themselves. 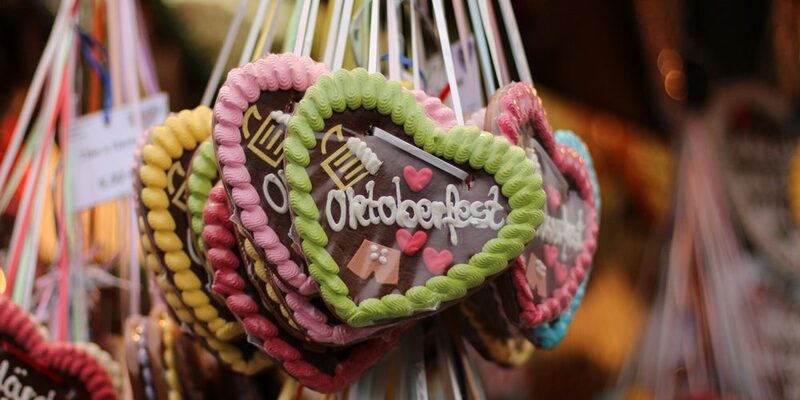 We know every little corner at the Oktoberfest – we are at home here! “Just wanted to thank you for Saturday. Was an excellent day out and lili our hostess was very good! “I hope my email finds you well. I heard one of our partners that the event went well. I am waiting for my colleague to return for more feedback. In the meanwhile, it looks like we will be participating in the Oktoberfest next year, too. We would like to do it for the afternoon session on one of the days between Monday-Thursday. Seems like Friday is not favoured as it’s a family day for our German guests. We are likely to return the Paulaner tent. Please do send us along the dates when you have them. “Just a quick note of thanks for your services for Oktoberfest 2016! Your team have been excellent and well worth the money. Our host Melanie was superb and we were allocated a table right next to the band in the tent! “Thank you for a very well organized afternoon/evening.